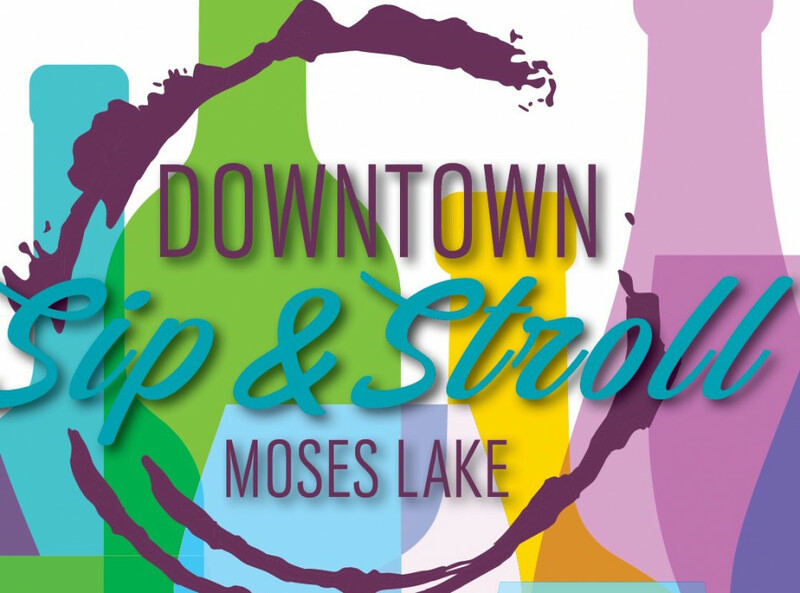 Stroll our downtown merchants tasting wine & beer, shop, win raffle prizes and have a great time in downtown Moses Lake. Come early for a bite to eat or grab dinner after the event. 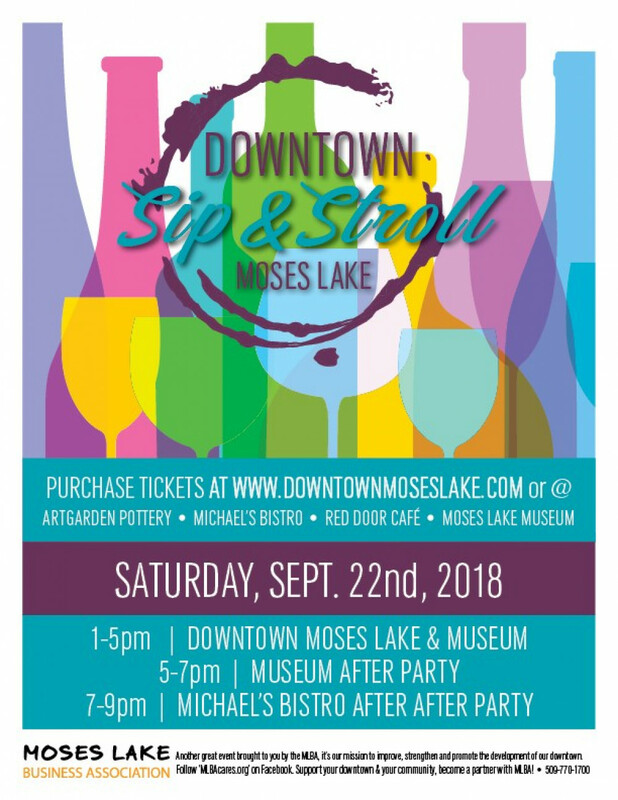 This year the event concludes with an After Party at the Moses Lake Museum and then we’ll head over to Michael’s Bistro for the After After Party! *Note: tickets will not be mailed. Your name will at the registration table at Michael’s Bistro or the Moses Lake Museum & Art Center the day of the event, simply stop by at 1 pm and pick up your glass and map. Come early! To purchase ticket(s) please click on "visit website"